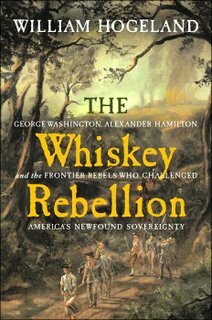 In his recently published history, The Whiskey Rebellion: George Washington, Alexander Hamilton, and the Frontier Rebels who Challenged America's Newfound Sovereignty, William Hogeland attempts create a revisionist history of the late eighteenth century Whiskey Rebellion in Western Pennsylvania. What Hogeland accomplishes is less history and more diatribe in the vein of Howard Zinn. He has an axe to grind, and by the end Alexander Hamilton is the devil incarnate, and those who openly contemplated secession and committed acts of violence against property and people were just trying to bring the American Revolution to its necessary conclusion. The accusation that Hogeland comes back to again and again is that Hamilton incited the rebellion. 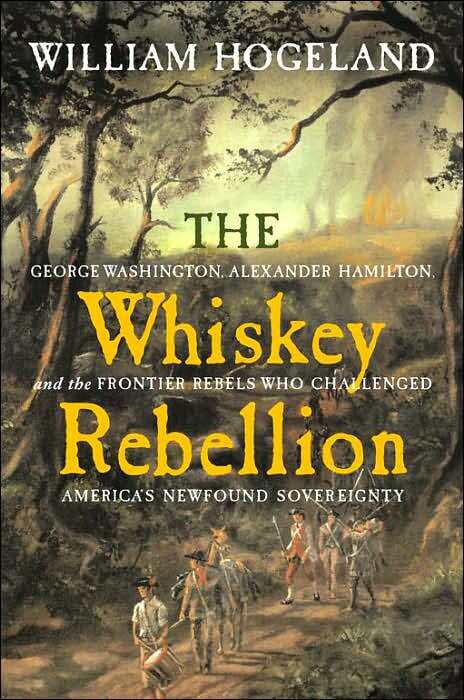 The argument is that because Hamilton's patently unfair whiskey tax was the impetus behind the frontiersmen's resistance, and his unreasonableness in enforcing the tax and issuing writs for the arrest of those who refused to pay the tax caused the rebellion. The problem with Hogeland's argument is his scholarship, or lack there of. He almost never offers a direct quote, especially when accusing Hamilton of malfeasance. Instead, Hogeland offers his summary of primary documents with nary a footnote. The reader is expected to accept on faith the author's interpretation at face value with no way to check the facts except a ridiculously useless bibliographic essay at the end. Not all of this is Hogeland's fault. The new trend in historical works intended for the popular market eschews scholarly footnoting, opting instead for endnotes that provide little more than an opportunity to name drop. Even Doris Kearns Goodwin, a legitimate scholar, is guilty of the succumbing to this new end note craze. Ultimately, this is the main problem with William Hogeland: he is not a scholar. He is a magazine writer with an agenda, and no scholarly background to legitimize his preposterous conclusions. To read some radical agenda into the actions of the Pennsylvania farmers is the very worst revisionist history, because there is no basis in reality. While I agree that Hogeland has written poor history, I disagree with your one-sided analysis of the book. He is harsh on Hamilton ( an assesment that historical evidence supports for the most part), but where his work really falls apart is in his assessment of the rebels themselves. While he wants to support their cause, he finds fault with their methods. More importantly, he views them as far more radical and organized than they were. In the end, his work fails to convince because he provides neither the diatribe you mention nor a balanced work that tries get at the real causes of the event. My comment is directored toward the style rather than the content of the book. Mr. Bogland writes as though he has marbles in his mouth. When given the opportunity to state information simplly and clearly he rushes in the opposite direction. His sentences are compond and compounded again. He has never met a comma he didn't like. Although the content is engaging, the effort to make your way through is remeniscent of the widerness of which he writes.